Here is a wonderful list of dry cookie mixes that you can make and store for future use when needed. A great way to save money: just buy your ingredients when on sale, make your desired mixes and then store them away. These dry cookie mixes can be stored in bags or tightly sealed jars etc. Perfect for when you have unexpected guests coming, you will never run out of an ingredient or for a rainy day project. They also make wonderful gifts when presented with instructions printed out and in a lovely container. 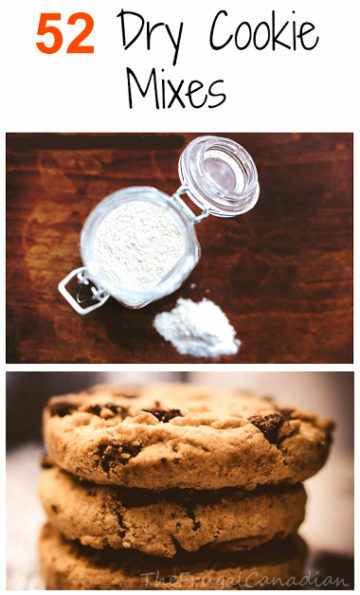 There is a cookie recipe here for everyone! Enjoy.